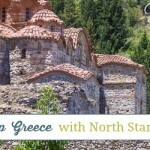 Ever since my daughter met a young woman that was preparing to go to the mission field in Romania, she has wanted to learn all she can about the country. 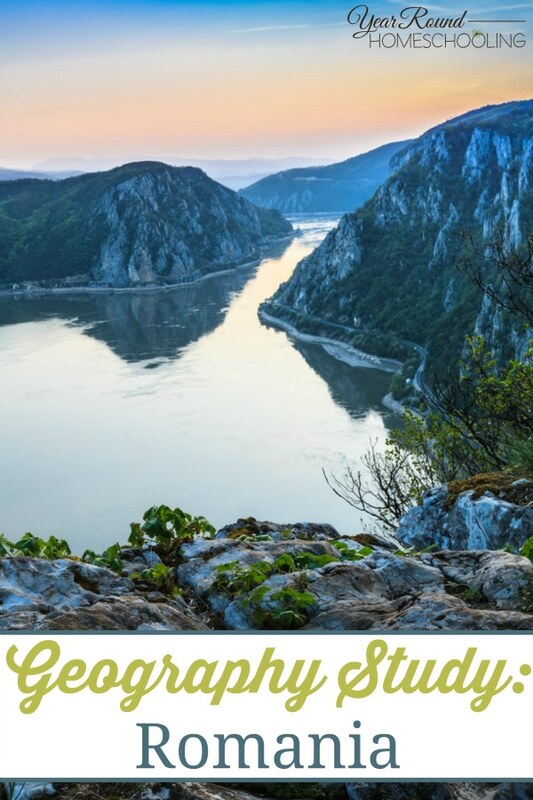 We had a great time researching the geography of Romania together to prepare this geography study for you to use in your homeschool! Romania is the 12th largest European country (237,500 square km) and is located halfway between the North Pole and the Equator. Romania borders the Black Sea (its lowest geographical point), Ukraine, Moldova, Bulgaria, Serbia and Hungary. Bucharest is the capital of Romania. It is also the political center of the republic of Romania and is home to over 1,877,000 people. The official language of Romania is Romanian. While French used to be the second language, English is now the 2nd most used language. The Hungarian and German languages are also used in Romania. Romania’s main religions are Eastern Orthodox, Protestant and Roman Catholic. The Romanian terrain is divided equally into three categories; plains, hills and mountains. The northern half of Romania is characterized by dense forest and Alpine mountains. The capital Bucharest is found in a relatively flat province which lies south of the Carpathians. The flora and fauna of Romania is varied due to the terrain and climate differences within the country. There are over 3,700 species of plants and 33,000+ species of animals in Romania. 71% Romanian forests are home to oak, beech, elm, ash, maple and linden while conifers (fir, spruce, pine and larch) make up the 29% remaining. The climate in Romania varies due to influences from altitude and the Black Sea. You’ll find that Romania has four distinct seasons. Winters are cold and cloudy with frequent snowfall and fog. Summers are sunny, but also include showers and thunderstorms frequently. Bucharest’s average temperature is 27ºF in January and 70º+ in July. In the Transylvanian Plateau in the northwest region of Romania the temperatures are lower, while the plains of the east and south have more extreme temperatures. The Carpathian Mountains receive 50+ inches of rain while the eastern region of Dobruja’s annual rainfall is 15″. The Carpathian Mountains cover over 1/3 of the country and form the shape of an arch which extends over 600 miles through Romania. There are three major ranges of these mountains; the Eastern (also known as the Oriental), Southern (also known as the Transylvanian Alps) and the Western Carpathians (also known as the Mountains of the Sunset). These three ranges of Carpathian mountains all feature unique landscapes because of the difference in terrain. A few types of terrain that you’ll find in these ranges are volcanic, glacial and karstic. The Transylvanian Alps are home to the Romania’s highest point, Mt. Moldoveanu which stands at 8,346 ft. The Black Sea is found on the south east border of Romania and is over 150 miles long. It features wide, sandy beaches and temperatures of 68-75 degrees in the summertime. The Danube River is 1,777 miles long and flows through the south-eastern region of Romania where the river ends. At it’s end the Danube River divides into 3 branches; the Chilia, Sulina and the Sfântu Gheorghe, which forms the Danube Delta. There are 3 sections in the river’s basin; from the beginning of the upper course the river continues to a gorge known as the Hungarian Gates which is located in the Western Carpathian Mountains and the Austrian Alps. The Danube River’s middle course runs from the Hungarian Gates Gorge to the Iron Gate, located in the Southern Romanian Carpathian Mountains. It’s lower course continues from the Iron Gate to the Black Sea. Other rivers that are located in Romania include; the Mures, Prut, Olt, Siret, Ialomita, Somes, Arges, Dambovita and Jiu. Of the 2,500 lakes located in Romania, the largest are lagoons and coastal lakes. The Raxim and Sinoe are both on the Black Sea shore, while the Oltina and Brates are along the Danube River bank. Lake St. Ana is the only volcanic lake in Romania. It is located near Tusnad and is fed by rainwater alone. In the Retezat Mountains you’ll find Zanoaga, at 95 feet it is the deepest lake in Romania and the largest lake, Bucura, is 24+ acres. The Transylvania Alps are home to a few lakes as well, here you’ll find the Balea, Capra, Caltun and the Podragu lakes. The Red Lake is a natural dam lake located at 3,215 elevation. It was formed after a landslide in 1837 is located near Bicaz Gorges. 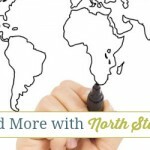 Our favorite map resource for every geography study we do in our homeschool is Wondermaps from Bright Ideas Press. 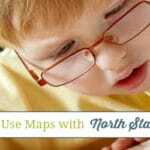 Having the ability to print any map we need, with outlines or without is perfect for children of all ages! These online maps are a good resource for this Romanian geography study too! What did your kids enjoy learning most about Romania? I was very pleased to read this article taking into consideration that I am from Romania. I am your subscriber so imagine how surprised I was. If you have any questions about Romania you can ask me. And also if you want to teach the kids something else about these country you can tell them that jn Bucharest there is the second largest administrative building after the Pentagon – the Parliament Palace called also the People’s House. Anothet interesting thing is that Romanian language is a latin language (it ressembles italian,spanish,french).What is curious to understand is that Romania borders Ukraine, Bulgaria,Serbia,Hungary who don’t sound like Romanian language. And on the first of March we celebrate the coming of the spring by giving each other(generally the boys give to the girls-but depends on the region) “martisor” is like a bracelet coloured in white and red and it means the blending of the winter with the spring…you can google it to see pictures.It is interesting. Reading Chautona Havig’s recent book, Carol and the Belles, with a Romanian as a main character has also piqued my interest in this country. Thanks for sharing this! I found you at the Heart 4 Home link-up. How fun! I don’t think we’ve ever thought to study Romania. Lots of cool information here about Romania! You can also find bloggers who live in Romania and they might be able to give you some additional info on the country. I live in Greece just a bit south. My twin sister went on a missions trip to Romania in 2000, and it really impacted her life. She said that it was a beautiful place. This is such a cool study plan! Thanks for linking up to Meetup Monday! Just a brief Hello from Romania. I’m searching for info about homeschooling. 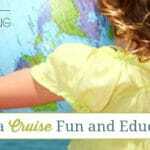 We plan to home school our 3 1/2 years old boy and 1 1/2 year old girl so I came across your blog. Very good info here. Congratulation on your Romania research! Speaking about mission field there is a book I would recommend to look into our Christian background. Great job! I found your blog on Pinterest and…I’m from Romania. Thank you for your kind words about my country! So cool to see a study for Romania! My husband is from Romania (the Transylvania region), and I was planning to include Learning about Romania in our son’s pre-k homeschool this year! I know I didn’t realize how diverse the geography of Romania is before meeting my husband. Thanks for the links- will be checking then out too . This is great. We are reading “Saving My Assasain” by Virginia Prodan, its her memoir. Can’t recommend it enough! This study is just what I needed for us in learning about Romania. Thanks! I haven’t heard of that book, I hope that you enjoy this lesson and that the book adds more to your children’s learning about Romania!